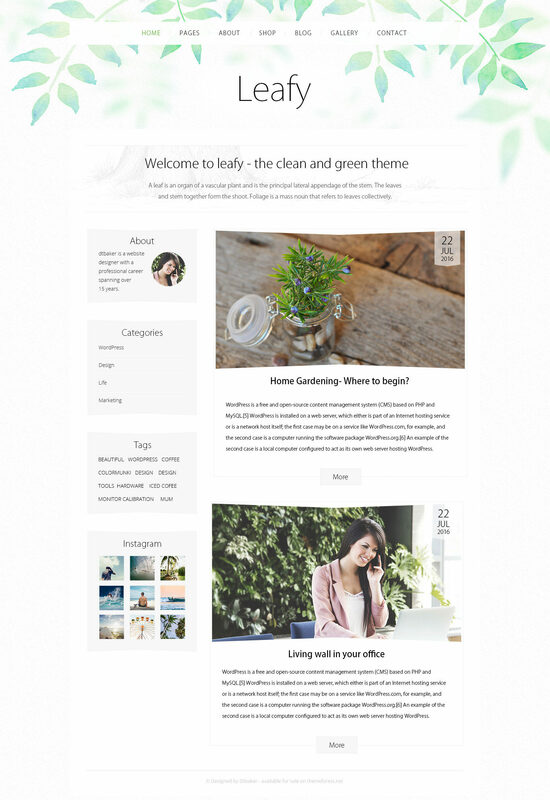 Leafy is a really cool and natural simplistic WordPress Blogger Theme with a range of “Leafy” headers available, from light green blurry leaves, gum leaves, autumn leaves even palm leaves. This theme would suit a range of outdoor businesses, environmental and personal blogs. This theme is so pretty and the tapered blog layout is really unique, check it out.